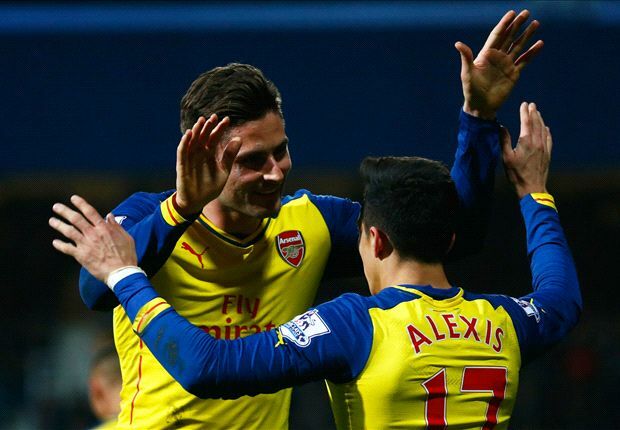 Arsenal maintained their challenge for third place in the Premier League with a 2-1 victory over QPR at Loftus Road on Wednesday. Second-half goals from Olivier Giroud and Alexis Sanchez secured all three points for Arsene Wenger’s side, although they were denied the chance to extend their gap over Manchester United when Louis van Gaal’s side scored late on to beat Newcastle. Charlie Austin wasted three clear chances in the opening 45 minutes for QPR as they restricted the visitors well with tight marking and a high tempo.